Greater Confidence: Your smile is an important part of your appearance. It influences the way others remember you and the way you feel about yourself. Stronger Smile: Cosmetic treatments will fortify your smile to keep it going for years to come. Better Life Quality: Patients with confident smiles may even enjoy a better quality of life because they smile and laugh more. Transform the aesthetic of your smile with one of our aesthetic dentistry treatments. 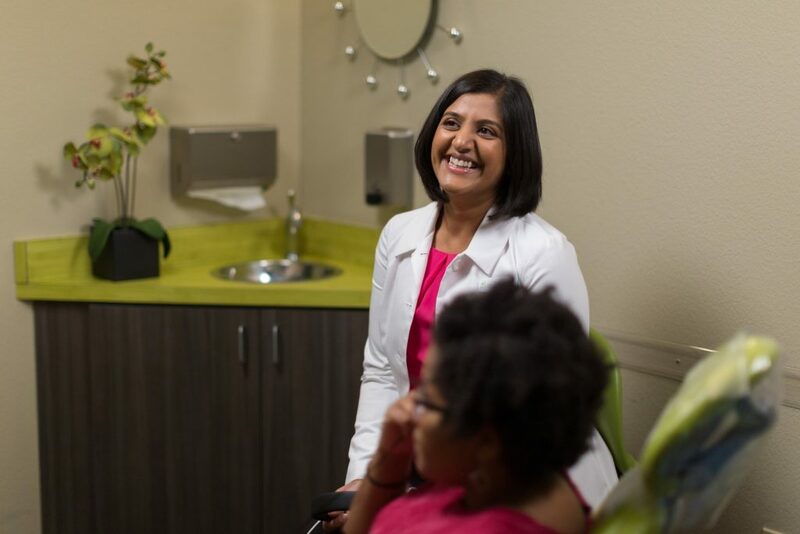 If you would like to straighten your smile, brighten your teeth, or make your grin appear more even, contact Mint Leaf Dental today. Bonding is fantastic because it is conservative and direct. There is no quicker way to correct your smile. Bonding is matched to your teeth and applied directly to the affected areas. We will mold our bonding to cover up chips, cracks, and stains. These ultra-thin, semitransparent shells can be used for virtually any smile imperfection! We make our dental veneers from high-quality materials like ceramic and porcelain. We can correct multiple teeth with durable porcelain veneers, correcting any smile flaw from dullness to crookedness. Not only do crowns and bridges improve your oral health, but they also give you an incredible new look. A crown is a tooth-shaped “cap” that replenishes the form and color of a damaged tooth. Dental bridges replace missing teeth to give you confidence in your smile again. Teeth whitening professionally will make a huge impact on your smile and self-esteem. We can brighten your smile up to six to ten shades brighter with one short visit to our office. Take-home whitening options are also available. Start smiling your best smile! It’s time to stop putting off treatment and start enjoying a smile you really love. To set up an aesthetic consultation in the Fort Worth, Crowley, Burleson, or Benbrook area, contact Mint Leaf Dental today.